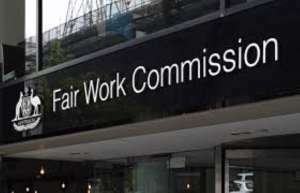 Most Australian employees whose employment is covered by the Fair Work Act, the national workplace relations system, have access to the system’s unfair dismissal jurisdiction which is managed by the Fair Work Commission, subject to an employee having completed a period of employment of at least the minimum defined employment period. However an employee whose employment is covered by that system and whose rate of annual earnings (meaning at its very basic definition the annual base annual salary excluding add ons such as superannuation and allowances*) exceeds the high income threshold, currently $145,400, are not protected from unfair dismissal unless his or her employment is covered by a modern award or enterprise agreement. Nevertheless high income employees are protected by what are called the general protections of the Fair Work Act and do have access to what is sometimes called the unlawful dismissal jurisdiction because the general protections prohibit the taking of adverse action (which includes dismissal) because an employee has or has exercised a workplace right or has engaged in industrial activity or been temporarily absent from work due to illness or accident or because of certain specified discrimination and coercion, undue influence or pressure and certain misrepresentations. Accordingly if you are aggrieved by the termination of your employment but believe that you are not protected from unfair dismissal because of your income, or length of service, you should take urgent legal advice about your rights. There are very tight time limits.